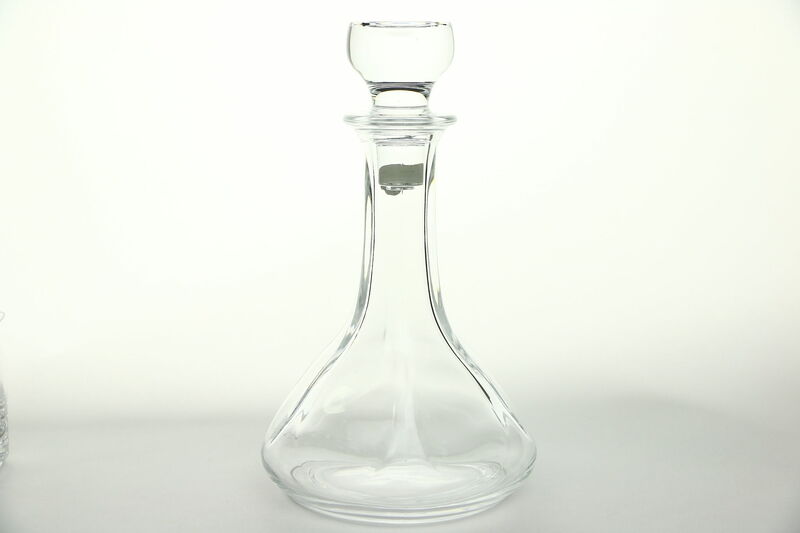 Signed "Cristal France," a liquor decanter and stopper is blown and cut crystal. Size is 6" diameter and 10" tall. See 13 photos that enlarge to full screen size.